Now that I’m distributing the book, I thought I’d let you know where the book is going. 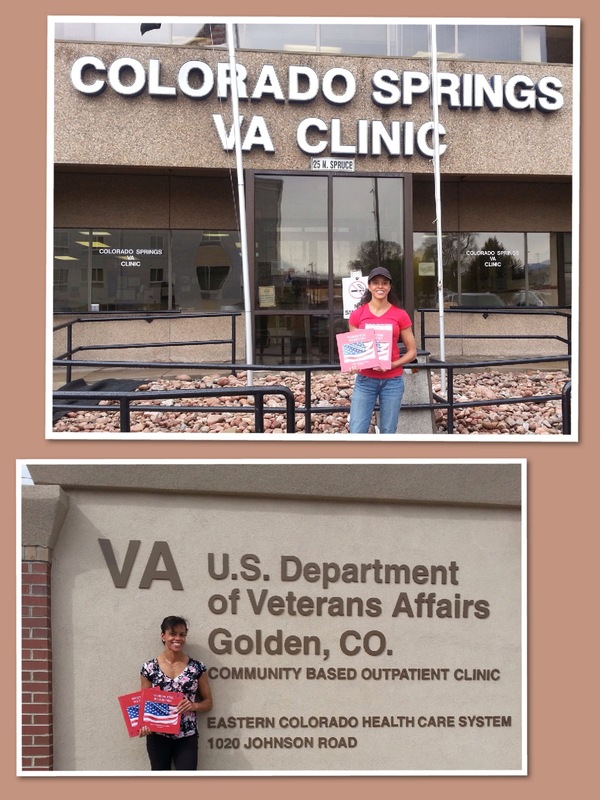 So far, I’ve placed 6 books at my local VA outpatient clinic, 2 in a VA clinic in Colorado Springs where I was visiting, 5 at a VA outpatient clinic in Golden CO, 1 at the VFW in Golden and sent four to USA Hockey (they are our Paralympic hockey team and have four veterans on the team). I have one being placed in a VA in Maine and one in West Virginia. There are a few on the way to an Air Force base where at least one will find a home at a local Fisher House. One is at Pathway Home in Yountville, California. Dropping off books this weekend! I’m also incredibly pleased to say that I’ve been able to give a few copies to a company called Wounded Wear for their use and send a personal copy to the President of the company, Jason Redman (whose words in his recent book The Trident partially inspired me in this undertaking). That’s right, I cold called (via email) his company and he was kind enough to write back. I’ve also been able to send out copies to many veteran friends and acquaintances which makes me very happy, indeed! I’m delighted to say that the feedback from the book has been quite positive and it’s the best feeling in the whole world! The first edition is out but I’m not done yet. I’m still asking people who want a unique way to show our veterans some support to write letters and send photos of themselves. I will definitely be doing a second edition and hopefully many more. Currently, the project is entirely funded by me and my cookie jar. I am scheming ways to get additional funds but whether I do or not, I will continue to distribute books. Outside money just means more books out to our veterans…faster. Do you want to be in the next edition of Words For Warriors? 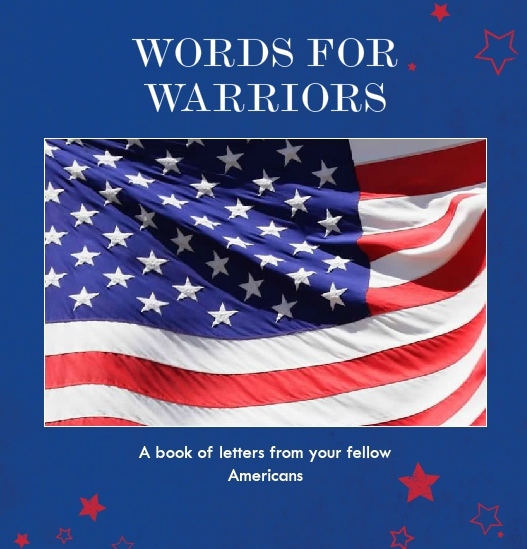 If you would like to be in my next book, I invite you to send a letter along to words4warriors1@gmail.com. Please understand this isn’t a writing contest. It’s not about fancy language or perfect grammar. A few simple words from the heart is all that is necessary. its something meaningful you can do and it doesn’t cost a penny, just a few minutes of your time.